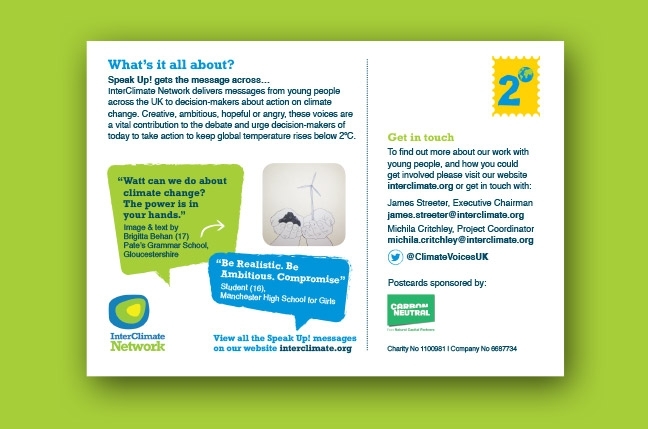 The InterClimate Network delivers messages from young people across the UK to decision-makers about action on climate change. 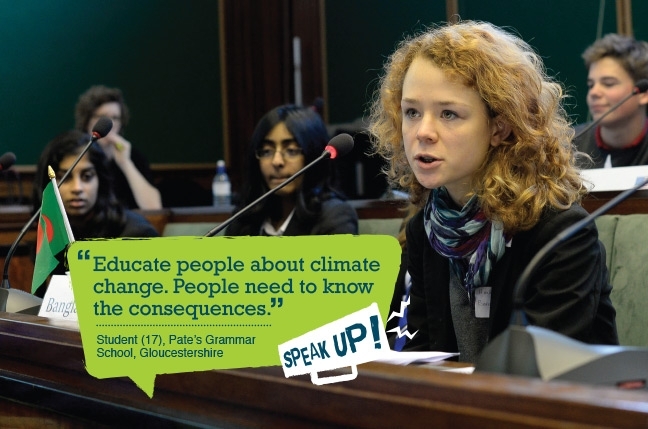 InterClimate Network asked Design & Tonic if we would design some collateral for their Speak Up campaign – an opportunity for school students to deliver messages to decision-makers about action on climate change. 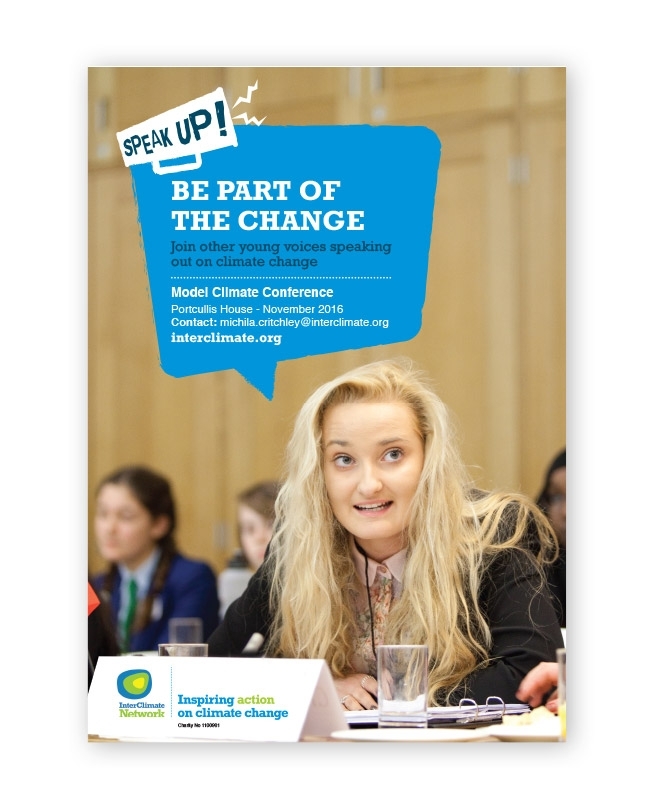 Creative, ambitious, hopeful or angry, these voices are a vital contribution to the debate and urge decision-makers of today to take action to keep global temperature rises below 2°C. Design & Tonic designed the branding for the project, which included a logo, posters, and a series of promotional postcards to send their messages to key decision-makers. 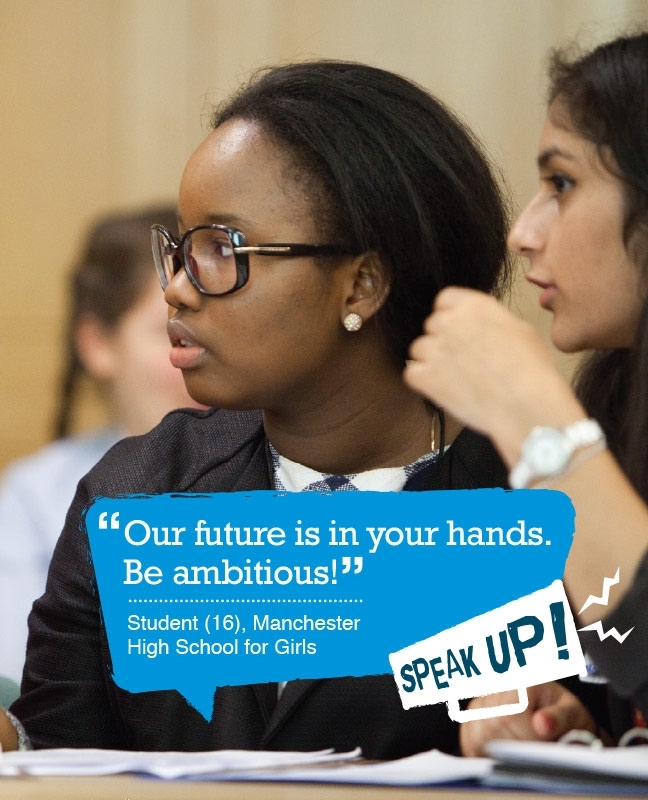 All the branding followed InterClimate Networks vivid colour palette and used the speech bubble as a device to deliver their message to a wider audience.